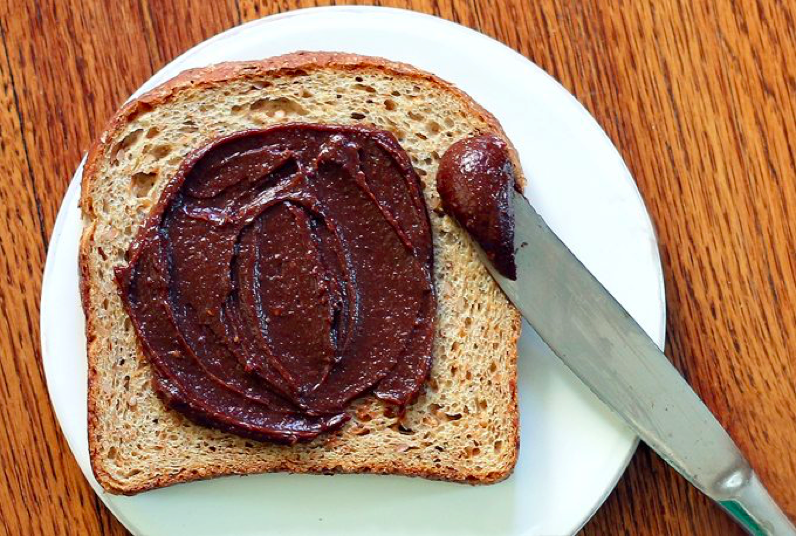 This is a healthy and low sugar alternative to store bought Nutella. It’s suitable for vegans or those with dairy allergies, and it’s high in Vitamin E, B vitamins, and healthy fats! Put the raw hazelnuts in a glass 8 x 8 baking dish and roast at 400 degrees for approximately 10 minutes (they will burn much longer than that). Allow the roasted hazelnuts to cool completely. Using your fingers, peel off the skins of hazelnuts (you don’t have to get them all perfect). Add all the ingredients into a blender (adding the hazelnuts last) and blend until smooth and creamy. Use the tamper if necessary and stop periodically to check and see if you need to add a tablespoon or more of almond milk so it will be smooth and creamy. Store in an air-tight glass container. Enjoy!